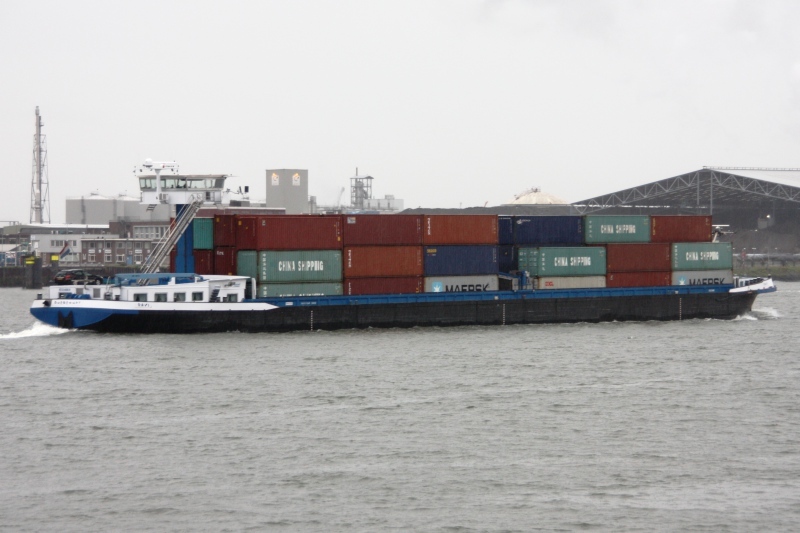 Inland dry cargo ship RAVI spotted at the Nieuwe Maas off Vlaardingen, September 16th., 2017. LxBxd = 109,94m x 11,45m x 3,43m - 2.902 tons / 208 TEU. 1 x 1.250 kW (1.700 hp) Mitsubishi diesel engine model S16R-C2MPTK.